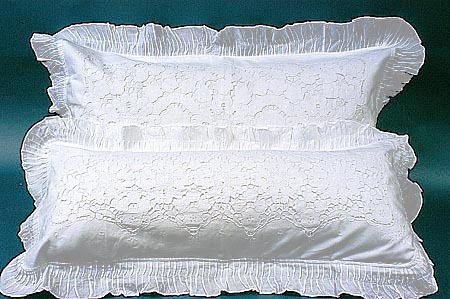 Victoria Style Pillow with "Ruffle Border". Victoria Style Pillow Sham "Ruffle Border"
Love Bolster (14"x35") Pillow (front), With 3" ruffle border. King size pillow (back). With 3.5" ruffle border.